We may live in an era of globalization, but much of the world is increasingly focused on limiting the free movement of people. During the last Presidential campaign, Mr Trump spoke volumes about trade agreements, political ties and the general hated openness and interventionism of the previous administration. As a symbol of a wider tendency, common to both the shores of the Atlantic, President Trump has played the role of the “Wall man” at international level. His ideas towards higher levels of protectionism, or even isolationism, tempted US voters and international sympathizers, who today tend to bring back this old same panacea to the political and economic troubles arisen with globalization. Political and economic difficulties quickly translated in fear. The actual leadership’s lack of preparation in front of globalization, and the impossibility in controlling that socio-economic phenomenon, justified the implementation of not that wise policies. It is plenty of walls in the world, may that be physical or just psychological, and Mr.Trump is not the only example. beginning in 2002 has been widely discussed and draw wide attention. 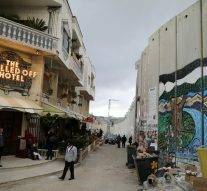 The Israeli barrier seems to be nearly three times as long, and twice as high, as the world-wide famous Berlin Wall: being however accompanied by full optionals like checkpoints, death strips and guard towers in order to deter Palestinians trying to cross the land or, in a proper Israeli view, attack Israeli territories and population. Anyway, even if this is the most notorious political wall, this is far from being the only one. In particular, the Washington Post reported last year the existence of 63 border barriers across four continents. On the other hand, Reuters more recently counted even more walls around the globe, reporting findings and figures of the wall proliferation since the implosion of the Soviet Union and the fall of the Berlin Wall. Today, there are 70 of them. It will not mesmerize the attention of the reader knowing that most of the new walls have been built within the European Union. Hungary built a huge wall along its border with Croatia in order to stem migrant flows coming from the Balkan region. Due to the harsh nationalist approach of President Orban, the decision of building a fence had important consequences in dropping arrivals to Hungary, even if that did not stop migration – of course, encouraging migrants to simply opt to other routes and enter through neighbouring nations. That is ultimately reason why other nations decided to start building other fences, as the best way to contrast the distress arising with migration flows. Meanwhile in Greece, metres of barbed wire and columns of well trained armed guards patrol the border with Macedonia. Many migrants were left on the other side of the fence, risking to die of the elements, two steps away from the European Union. Inevitable frustration mounted, erupting in clashes between migrants and the Macedonian military. We all know the pictures of migrants running from tear gas and rubber bullets in Northern Greece, but it was not sufficient anyway for European leaders to gather and produce common concrete and powerful policies. Switzerland set out controls at the borders with Italy, officially in order to stem influx of drug dealers, and the Italian Foreign Minister called back its Ambassador in Berne, as a retaliation to that misconduct violating the Free movement agreement signed with EU in 2000 and entered into force on June the 1st. Other barriers are being settled at the English Channel, where Britain is funding construction of a wall in Calais. Concluding, Austria has threatened over a long period to erect a barrier along its border with Italy in the Alps, always under the same cloak of stemming the waves of migrants coming from Africa through Italy. This new age of walls, where barbed wire is the most evocative symbol of this self-damaging securitarian hysteria, as we said before, this is not just about concrete fences and barriers, as well as those psychological walls and guards that reflect in the rise of populist movements. 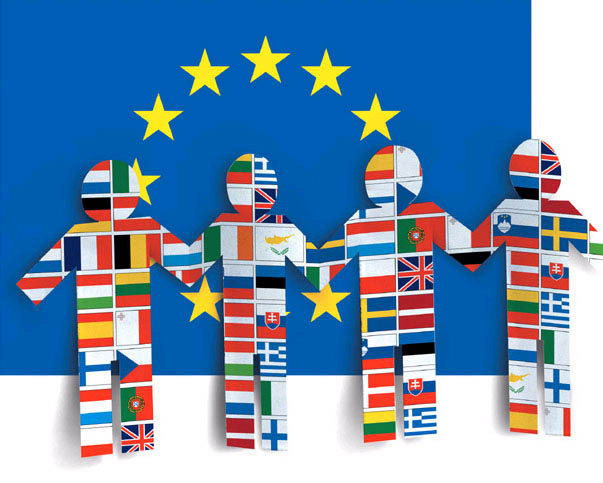 Even if it is, in a sense, a generally new tendency of the European politics, similar aspects, fears and policies can be observed on the other shore of the Mediterranean Sea. In facts, walls are going up also in Africa, the Middle East and Asia. In order to implement a despicable agreement with the EU, Turkey is building a concrete wall on its southern border with Syria. Tunisia is erecting likewise a desert barrier with Libya to seal off itself from the threat posed by the Islamic State militias actively operating there.